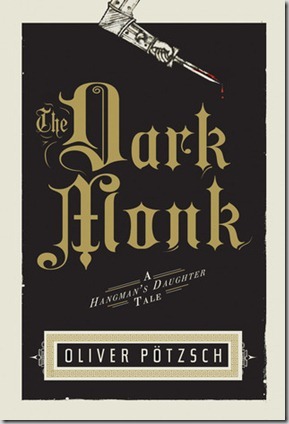 The Dark Monk: A Hangman’s Daughter Tale by Oliver Pӧtzsch (translation by Lee Chadeayne), is the sequel to Pӧtzsch’s successful 2010 historical novel, The Hangman’s Daughter. Once again, the author takes readers to 17th century Germany, to the river town of Schongau, for a thrilling murder mystery that keeps one wondering whodunit until the end. The novel begins one year after the child murders that rocked Schongau to its core in The Hangman’s Daughter with the death of Andreas Koppemeyer, the parish priest, in the neighboring town of Altenstadt. 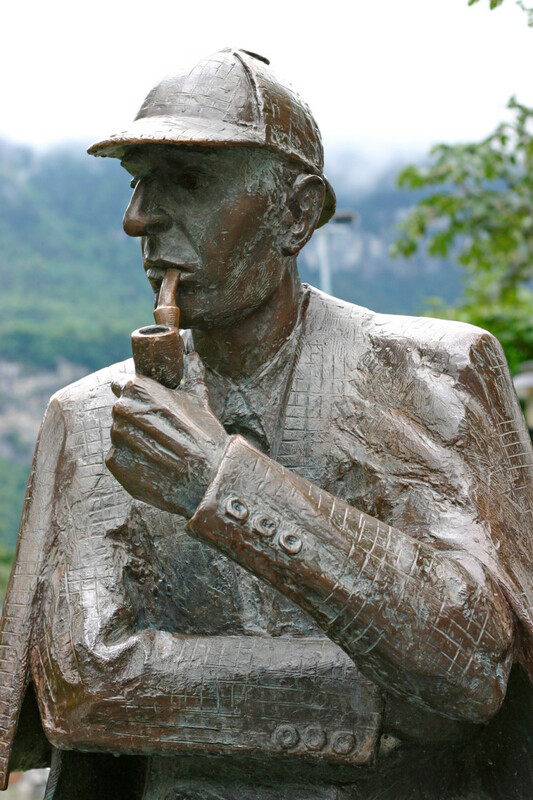 Simon Fronwieser, doctor’s assistant and one of the three amateur detectives introduced to readers in the aforementioned work, is called to attend to him. It doesn’t take Simon long to suspect Koppemeyer’s death is not from natural causes and enlists the help of the hangman Jakob Kuisl, Schongau’s executioner, to investigate clues the priest attempted cover during his final moments - clues to a buried treasure. Magdalena Kuisl, Simon’s love interest and the hangman’s headstrong daughter, joins the men in their adventure. The trio’s bond is strained, however, upon the arrival of the priest’s sister, Bennedikta Koppemeyer. Wealthy and refined, Bennedikta soon captures the attention of Simon and the scorn of Magdalena. Pӧtzsch weaves several storylines throughout The Dark Monk to fuel the tale. Jakob is commissioned by the town clerk to dismantle a band of murderous robbers wreaking havoc on Schongau’s trade route. A deadly fever is spreading through Schongau, leaving its residents in a state of panic. Simon and his father, the town doctor Bonifaz Fronwieser, are desperate to find a cure. Magdalena, seething from Simon’s waning attentions, is sent to an apothecary in the cosmopolitan city of Ausburg to buy herbs and to take her mind off of Simon. She has a treacherous journey and encounters even more danger once there. Simon and Bennedikta are involved in a series of misadventures as they follow additional clues hoping to find the treasure for which her brother died. The Dark Monk is reminiscent of The Da Vinci Code with its tale of the legendary Knights Templar in Germany and group of religious fanatics led by the eponymous title character who will do anything – including murder - to recover the greatest of all religious relics. Pӧtzsch is a talented storyteller who has a penchant for description that transports readers to the era. 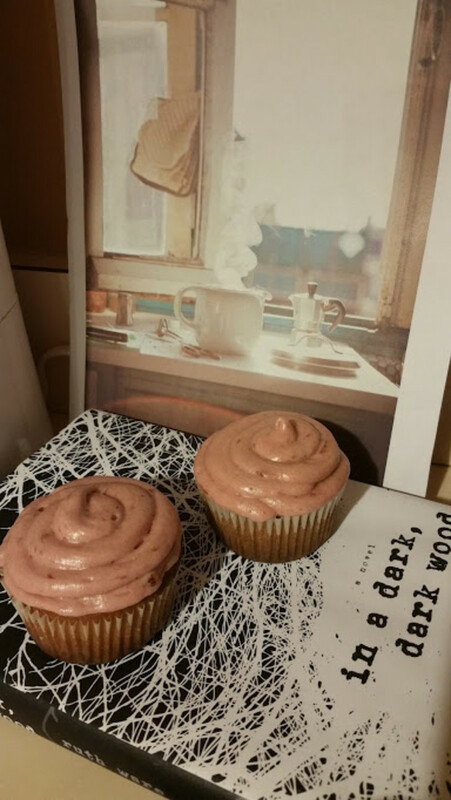 The Dark Monk is a good read that educates as it entertains. This is one sequel that doesn’t disappoint.